A tiger might not be able to change his stripes, but you can change the look of your boring personal checks when you carry these captivating designs! Fun and a little bit whimsical, your checks will never be lost in the shuffle now. 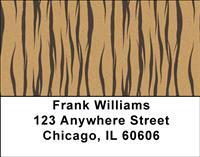 Tiger stripes are always in style.